Potato masala is a very tasty and superb combination for poori. There is yet another version of poori masala available without tomatoes and that is the one we regularly make at home for poori. But this potato masala with tomatoes is not only a tasty combination for poori’s but it tastes great with dosa or chapathi’s also. 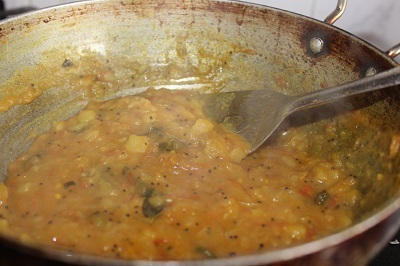 Potato masala is one of the easy to follow and tasty recipe. Other tasty dishes that can be served with poori are kurma, channa masala and chole. Now to the recipe..
1. 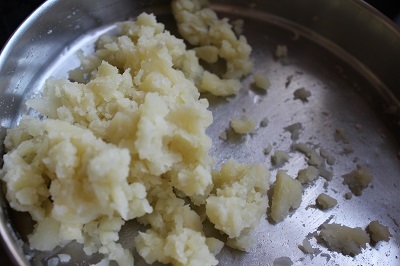 Pressure cook potatoes for 3 – 4 whistles or until it becomes soft. Let it cool. Peel off the skin, mash it up nicely and keep it aside. 2. 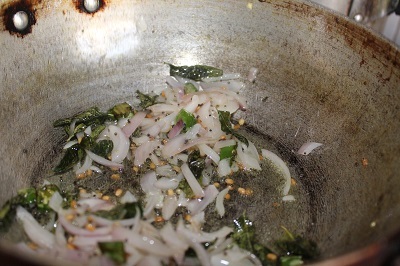 In a pan, heat oil, splutter mustard seeds. 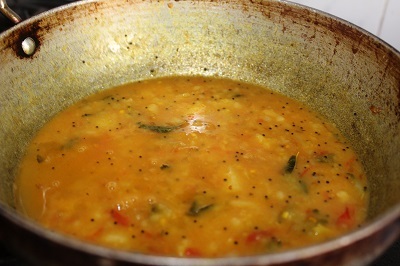 Then add curry leaves, urud dal and saute till urud dal turns golden brown in color. 3. 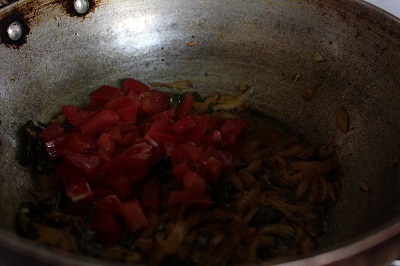 Then add chopped onion, green chilly and saute again till onion turns pinkish in color. 4. 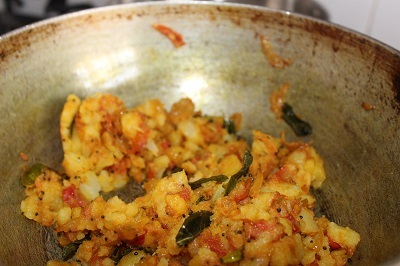 In the next stage, add finely chopped tomatoes and saute till they turn mushy. Now add the mashed potatoes, turmeric powder and salt, mix well. Mix in low flame till the raw smell of turmeric goes off. 5. Now add water and let it boil for some time. Allow it to get nicely blended and become semi thick consistency. 6. 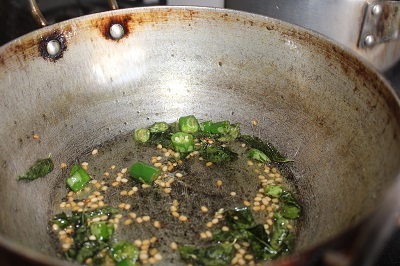 Turn off the stove and garnish with coriander leaves. 7. 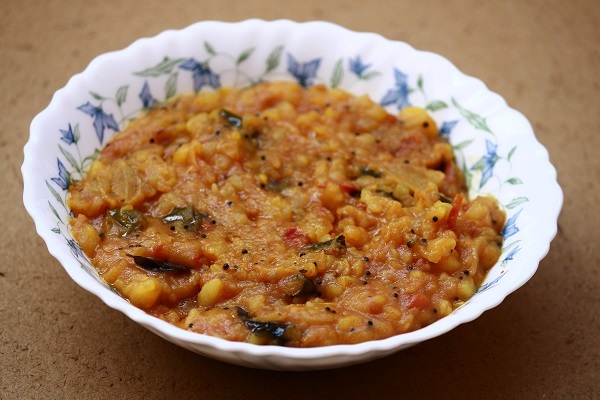 This can be served with poori, chapathi or with dosa.